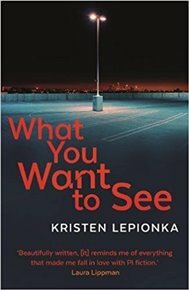 Kristen Lepionka grew up mostly in a public library and could often be found in the adult mystery section well before she was out of middle school. Her writing has been selected for Shotgun Honey, McSweeney's Internet Tendency, Grift, and Black Elephant. She lives in Columbus, Ohio, with her partner and two cats. 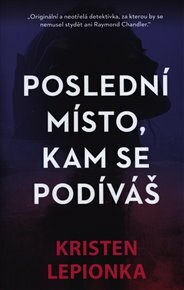 Nikdo neví, co se stalo se Sarah Cook. Krásná blonďatá teenagerka zmizela před 15 lety, té noci byli její rodiče ve svém domě brutálně zavražděni. Shaken by the outcome of her last big case, PI Roxane Weary is keeping a low profile. When she takes on a new client who suspects his fiancee is cheating on him, Roxane is happy to have landed a run-of-the-mill surveillance job.